From the evocative tolling of village bells to the grating rattle of exhaust pipes, what we hear influences how we feel and what we do. As technology advances, the world has become an increasingly noisy, confusing and disturbing place. The recent addition of mobile phones alone has irrevocably changed our auditory experiences. In order to retreat from jarring sounds, we seek new sounds sounds that calm, block, soothe. 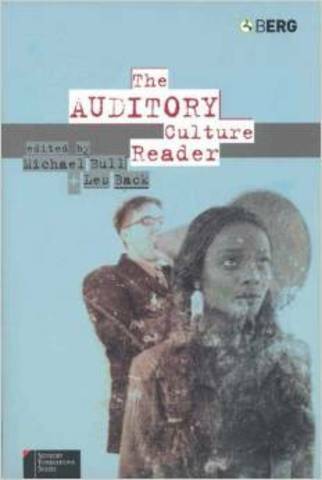 Beginning with the role of sound in historical and social thought, The Auditory Culture Reader moves on to consider city noise, music, voices, and new technologies and medias of sound. It explores, for example, the sectarian sounds of North Belfast, sounds of the powwow amongst Native Americans, football chants, recorded sermons, and the power and influence of the DJs voice. Filling a significant gap, this groundbreaking and multidisciplinary reader combines classic texts, interviews and original contributions by leading social and cultural theorists. It represents a landmark statement on a surprisingly overlooked aspect of our everyday experience.